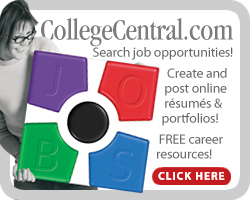 N0W - Lakes Region Community College uses College Central Network as its official resume and job posting service. Employers, click the link at left to create an account with College Central Network. Once your account is approved (usually within 24 hours), you can post your available positions. There is no charge for this service…it’s FREE to employers!